Offering fully insured and qualified engineers, D & S Home Appliances & Fire Centre offer a wide range of repairs on stand-alone or integrated domestic appliances. These include tumble dryers, washing machines, and fridge freezers. 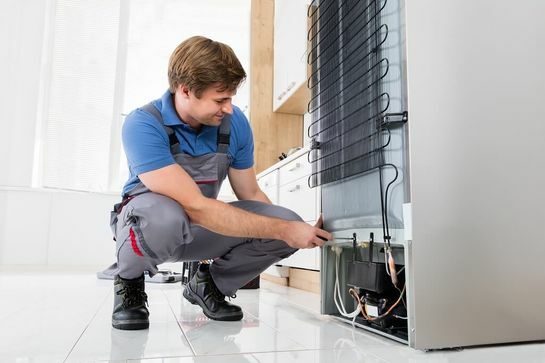 Our experienced team have more than 30 years’ experience, enabling us to carry out excellent appliance repairs through Addlestone, Surrey, and the surrounding areas. When you choose D & S Home Appliances & Fire Centre to carry out domestic repairs for you, we guarantee a personalised service that’s ideal for your needs. In order to understand your requirements, we will discuss all work with you over the phone or in-store before offering you a competitive price for the repairs. Most of the repairs are done on site, which doesn’t cause any inconvenience for the customer.